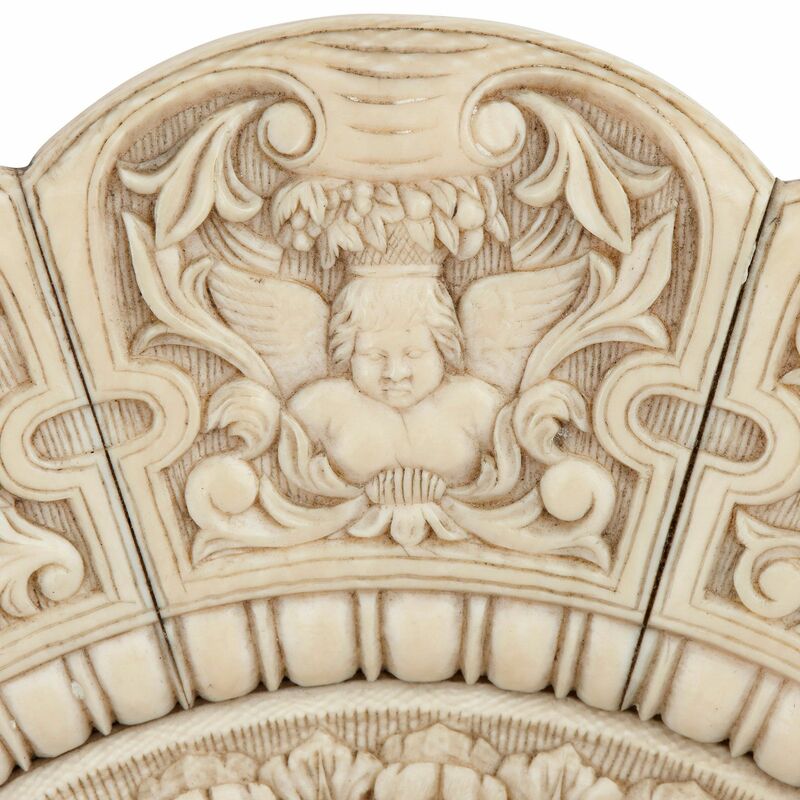 This fine antique ivory platter has been expertly and precisely carved with beautiful, intricate decorations, including flowers, cherubs, and birds. 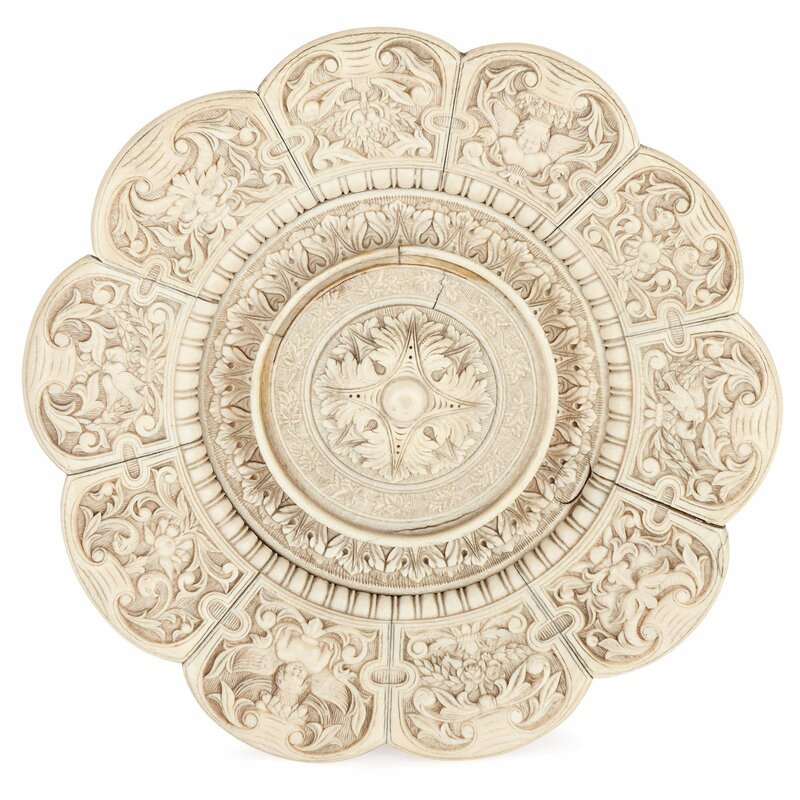 This exceptional ivory platter is the result of some truly wonderful craftsmanship, and was created in the town of Dieppe in northern France. 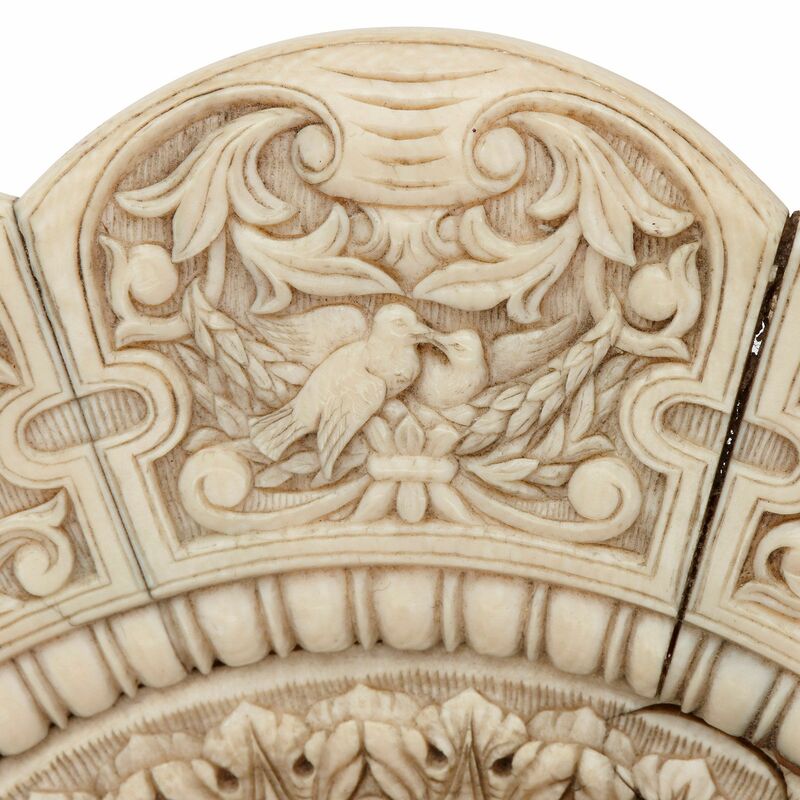 Dieppe has long been associated with fine ivory pieces, due to the trade which developed between it and Guinea in the later 17th Century. 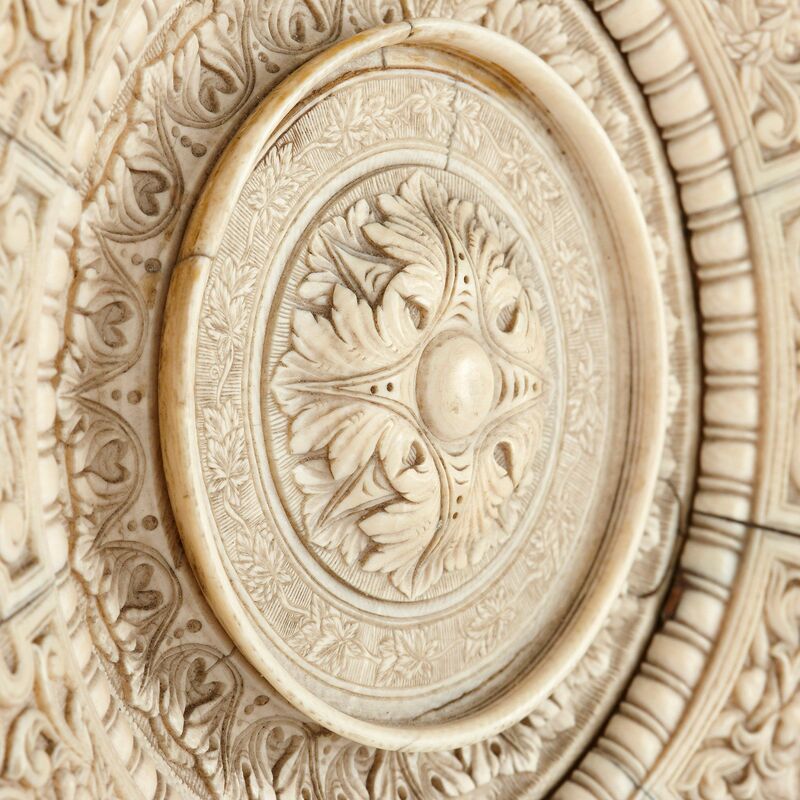 Craftsmen in Dieppe therefore worked with an abundance of materials, allowing them to create beautiful, intricate pieces, such as this platter. 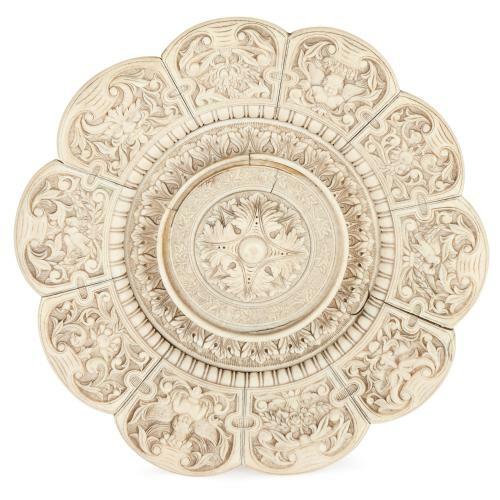 The platter is circular in form, with a lobed edge, and is intricately carved around its rim with ten separate panels showing foliate motifs, cherubs, doves and grotesque masks. 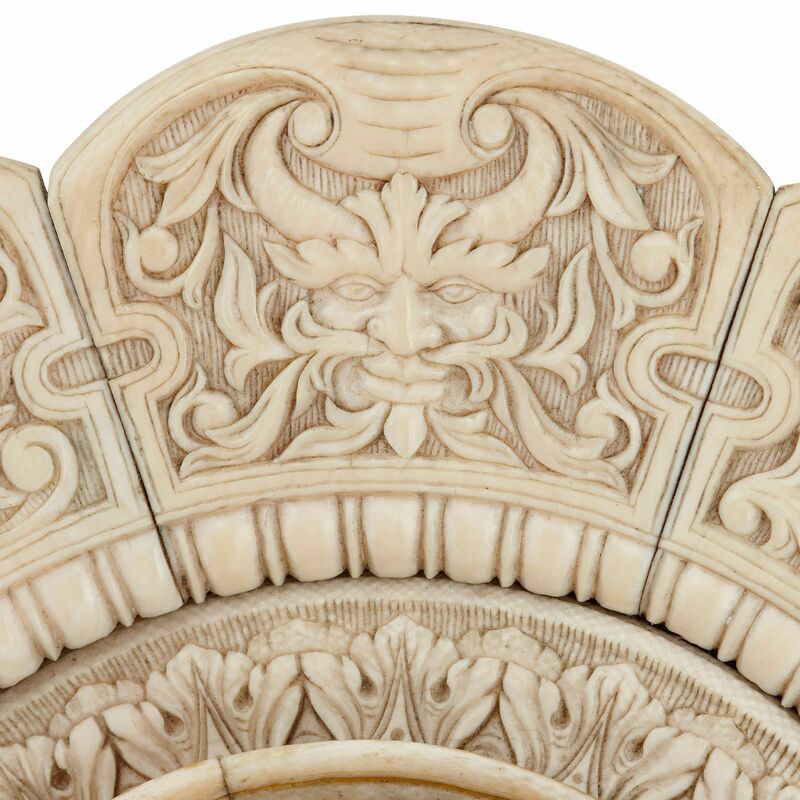 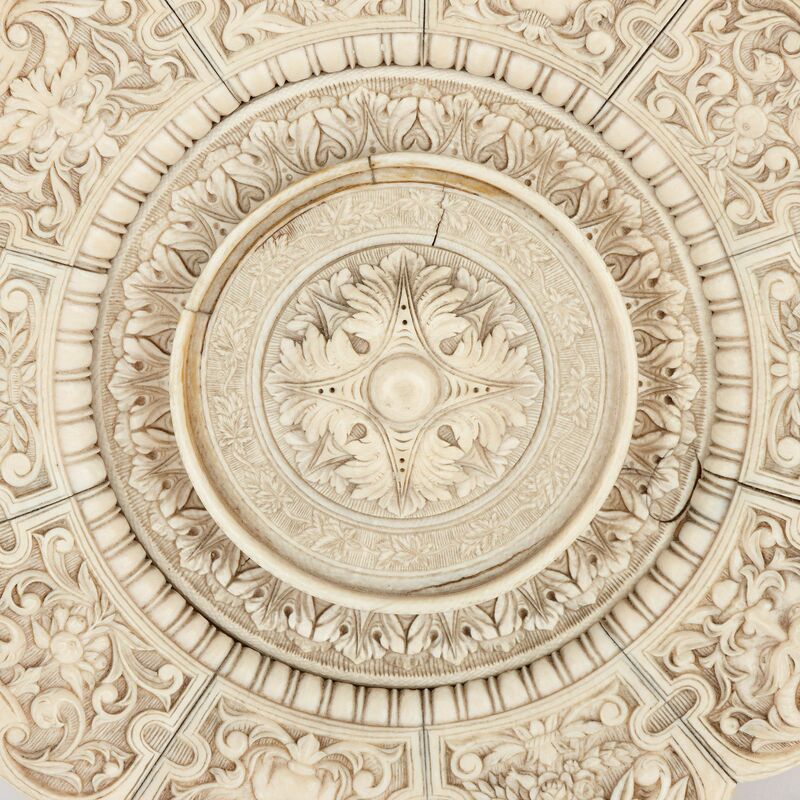 Inside the rim there are further layers of foliate motifs, with an acanthus leaf design in the centre of the platter.